Two (2) Bedroom 40 SQM is an affordable Camella Condominium for sale in Camella Condo Homes Bacoor (Bacoor Cavite) with floor area of 40 square meters. Two (2) Bedroom 40 Sqm has Two (2) Bedrooms, One (1) Toilet & Bath. 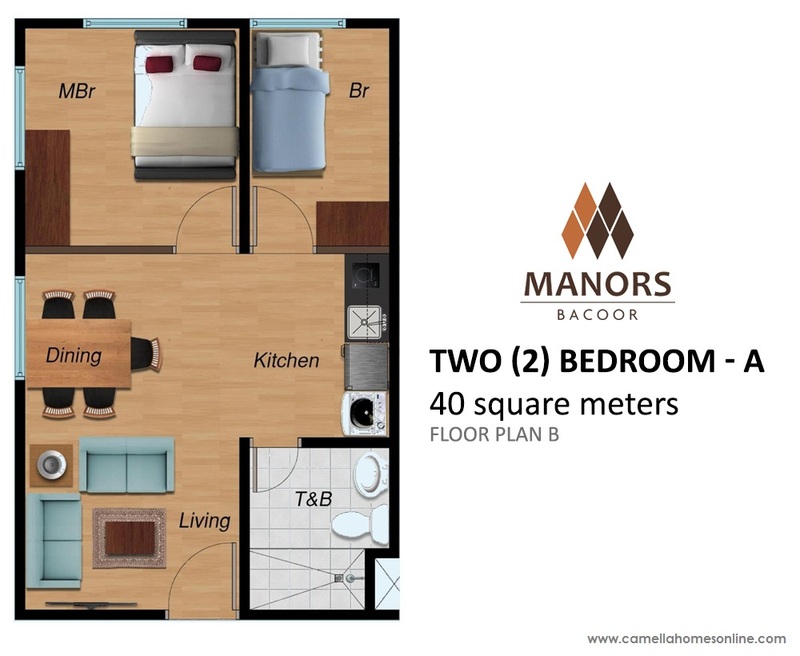 Two (2) Bedroom 40 SQM in Camella's Camella Condo Homes Bacoor is an affordable condominium unit for sale in Bacoor Cavite. Two (2) Bedroom 40 Sqm has a typical floor area of 40 square meters. Two (2) Bedroom 40 Sqm in Camella Condo Homes Bacoor has Two (2) Bedrooms, One (1) Toilet & Bath, living room, dining area, kitchen in complete finishes. Two (2) Bedroom 40 SQM UNIT is exclusively offered in Camella's premium mixed use residential and commercial community, Camella Condo Homes Bacoor. 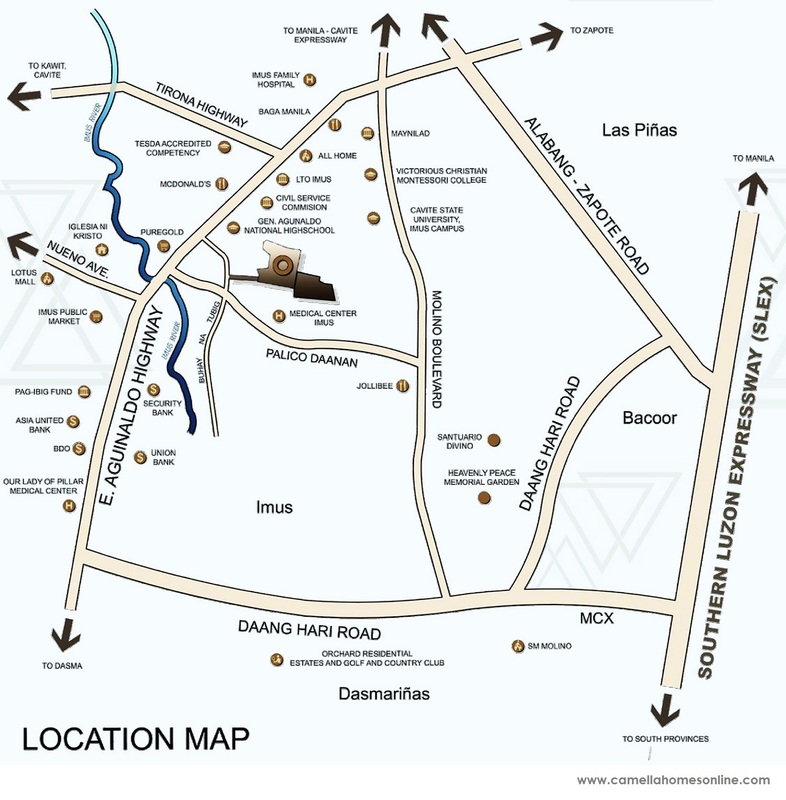 CAMELLA CONDO HOMES BACOOR is located along Aguinaldo Highway, Bacoor, Cavite; Manors Bacoor is a stone-throw away from Medical Center Imus and few minutes drive to Molino Boulevard via own access route and about 30-45 minutes away from Makati. 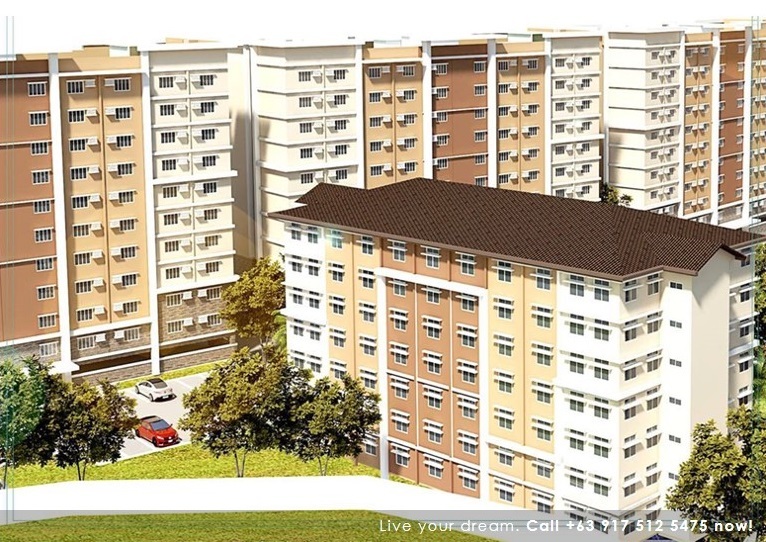 Two (2) Bedroom 40 SQM in Camella Condo Homes Bacoor is a COMPLETELY FINISHED Condo Unit. The above photo of the dressed up unit is the same interior turnover finishes and materials for Two (2) Bedroom 40 Sqm in Camella Condo Homes Bacoor. Movable furnitures and appliances are NOT INCLUDED in the turnover.